Stop right there! It might be Blue Monday – apparently THE day of the year we are most depressed about money/bills/life and so on – but don’t be down. Don’t be sad. Intelligent Car Leasing has your back. And we have two ways to make you feel better on Blue Monday. By turning your day green (well, it is our colour). We have a special Green Monday promotion – a rather lovely and mood enhancing £100 high street voucher if you lease a car from us between Saturday, January 19 to Monday, January 21. 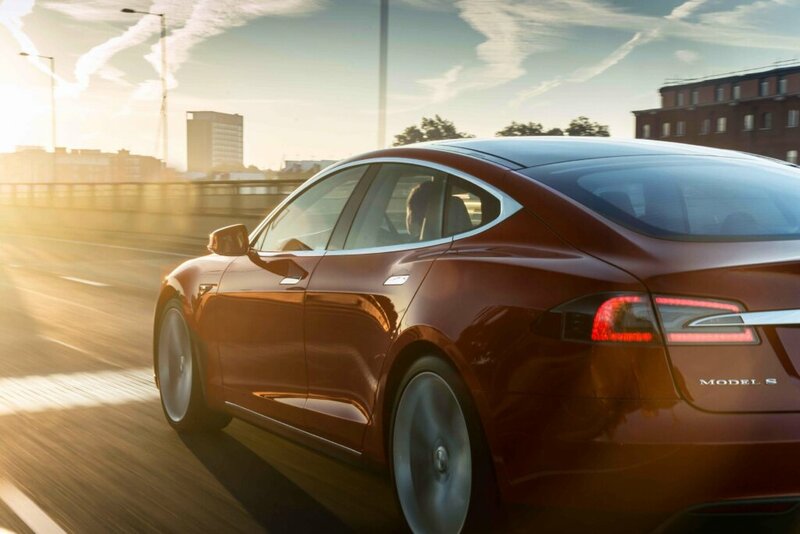 So here’s 10 motoring reasons to make you smile. Read on and we’ll make your blue day green. 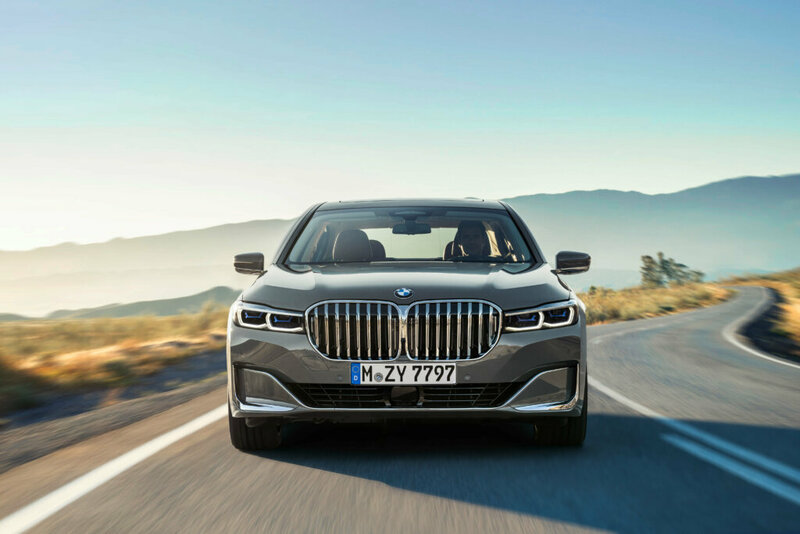 It looks like BMW has given its new BMW 7-Series some dental work. Just look at the size of that front grille! You too can drive behind a grin such as this from April when the big BMW goes on sale. 2. Blue, green… or grey? If you think grey is just..well, a bit dull… how about any colour you want? That’s right. It’s something Vauxhall is offering. 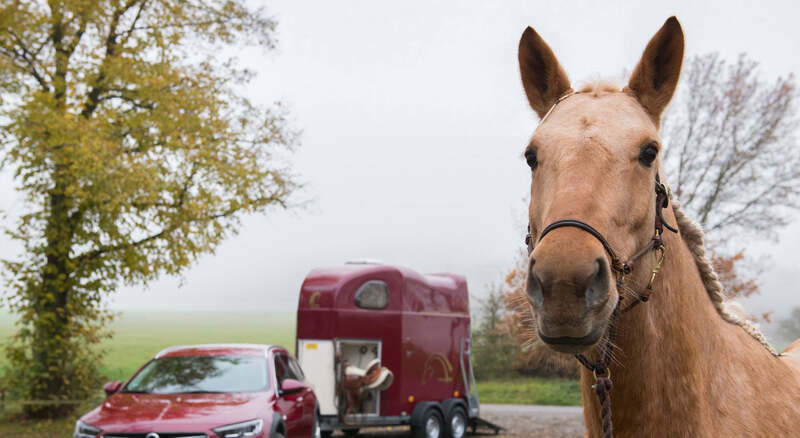 You can get your Insignia painted in the colour of your choice – whether to match your horsebox, handbag or football team. Personalised paint does not come cheap – £5300 – but come on, you’re worth it. It’s still winter, but Mercedes-Benz has the perfect answer. An air scarf. 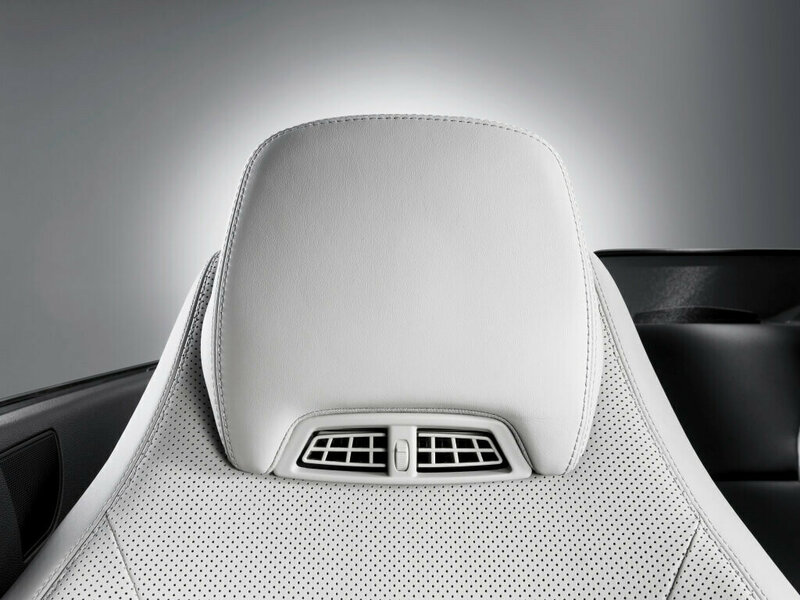 Particularly useful for the car maker’s rather attractive convertibles, the air scarf keeps your neck and head warm. Even on the chilliest days. How could you resist? The all-electric Twizy must be one of the funkiest, fun cars on the market. It’s a tiny little run around – in fact you can park three Twizys in the space of one standard car. OK, so scissor doors are optional. But… And look, we’ve also done some intelligent picture research: we’ve found a green car sitting next to a blue one. Hurrah! How about this to lift the mood? 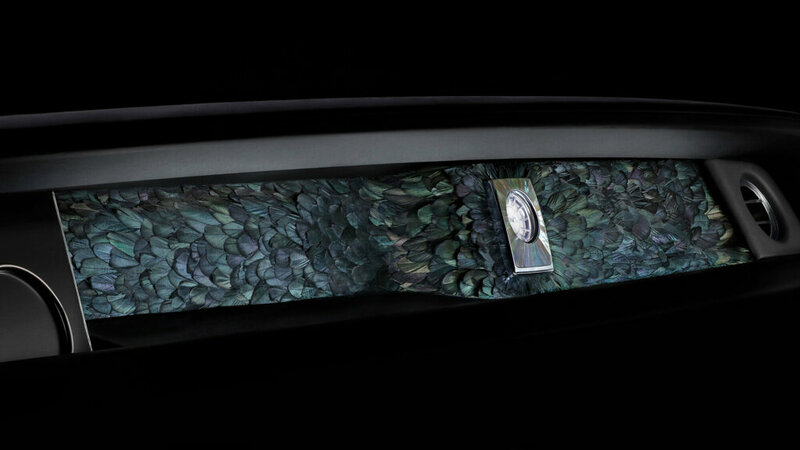 An art gallery space within the dashboard of your car – it’s fully bespoke, as you would expect with a Rolls-Royce Phantom. And sits behind an application of glass that runs uninterrupted across the fascia of the New Rolls-Royce Phantom. Class. Photo: The Final Gallery, Nature Squared, by Lol Keegan. Ever had a problem reaching the roof of your car (roof box, for example)? Worry no more: Nissan has done the intelligent thing. 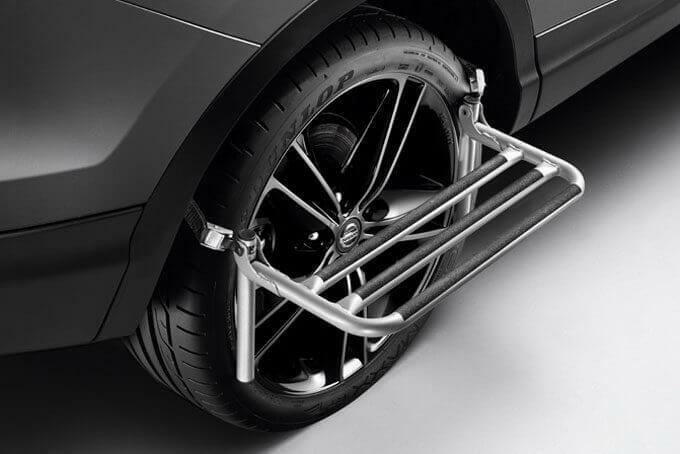 And created a step that clips over the wheel. Simple and brilliant. Unless, of course, you’re a Tesla driver. In which case Elon Musk has equipped your car with a filtration system capable of stripping the outside air of pollen, bacteria, and pollution before it enters the cabin while systematically cleansing the air within the cabin. It works, too, as drivers during the Californian wildfires testified. Does your dog suffer from the bangs and blasts of fireworks that leave it quivering in the corner? Ford has an intelligent answer to the problem. Not a noise proof dog wagon but a noise cancelling dog kennel. Ford says it uses noise-cancelling technology introduced to its Edge SUV to protect sensitive canine ears. 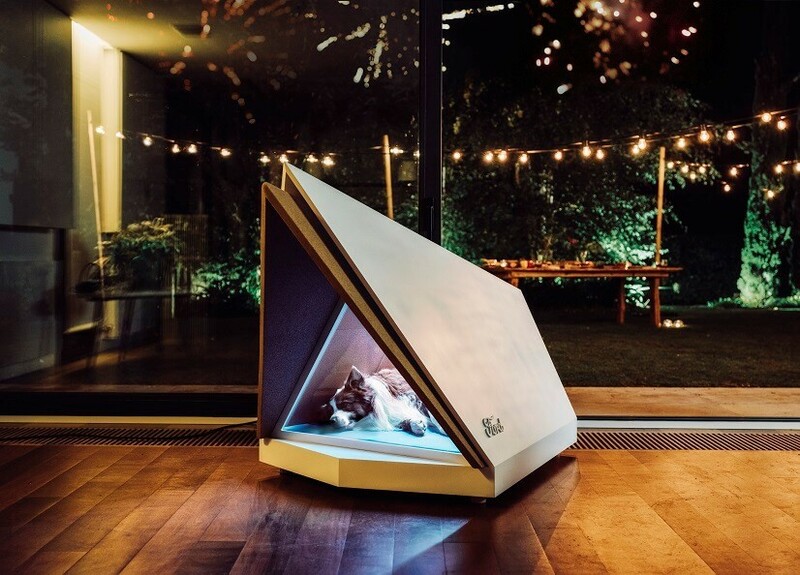 Could be the answer to stop your dog having the firework blues! This is our favourite at Intelligent Car Leasing: a foot massager in the Audi A8 limousine. 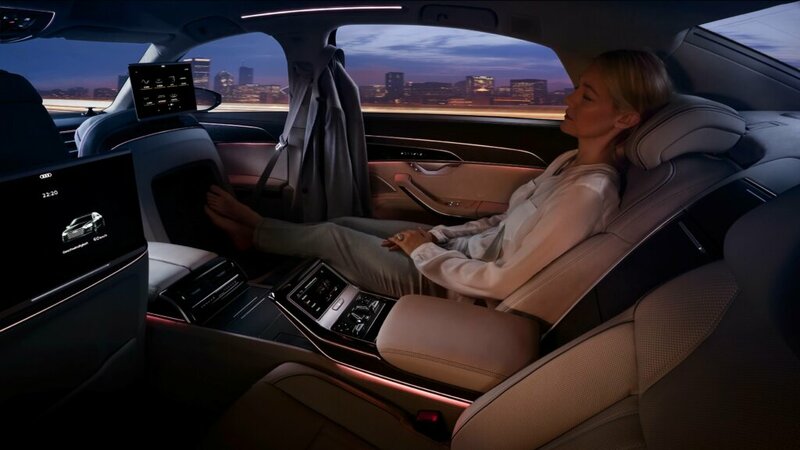 It’s an electrically retractable footrest in the passenger seat which is heated and has a massage function – it’s part of the ‘Rear seat pack plus’ option for the A8 Long Wheelbase that also includes special contour seats with heating for the rears, among other things – cost is a cool £9,100…but how relaxing! Don’t be blue – lighten up and make your day even better with our Blue Green Monday promotion. Not only will you have a brilliant new lease car to drive – you’ll also have an extra £100 to spend on the high street thanks to our special ‘stop you feeling blue’ promotion! Take Our Interactive Car IQ Test!